Because of Brexit, Ireland’s cheesemakers might have to switch from cheddar to mozzarella. That slice of cheddar on your U.K. Big Mac probably came from Ireland. More precisely though, the milk and the raw cheese would have come from the Republic of Ireland. But the processing typically was in Northern Ireland. And from there, the cheese would have traveled to a McDonald’s in the U.K. or elsewhere in the EU. The travels of that cheese have Ireland’s cheesemakers worried. Once Brexit is finalized, the cheese won’t seamlessly move between Ireland and Northern Ireland. With Ireland in the EU and Northern Ireland, the U.K., the cheddar could be subject to tariffs. The result? Its cost and trucking delays would rise. It all will depend on the U.K.’s European Union exit deal. If free trade remains, then Ireland’s dairy industry can breathe sighs of relief. Another possibility though is a “no-deal” resolution. 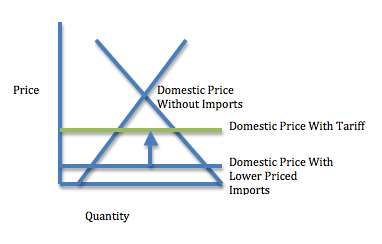 Then the World Trade Organization’s tariff rules could kick in. For dairy products, the levies could be as high as 44.6%. Tariffs at that level would mean an 8.1% retail price increase for cheese and other dairy products. Twenty percent of the milk that Ireland produces goes to the U.K. as cheddar. We could also say that close to a third of the U.K.’s cheddar comes from Ireland. They have a significant trading relationship that tariffs could unravel. Projecting less demand for cheddar if there is a price increase, some of Ireland’s cheese makers are pondering a switch to mozzarella. But then they would have less cheddar for McDonald’s. 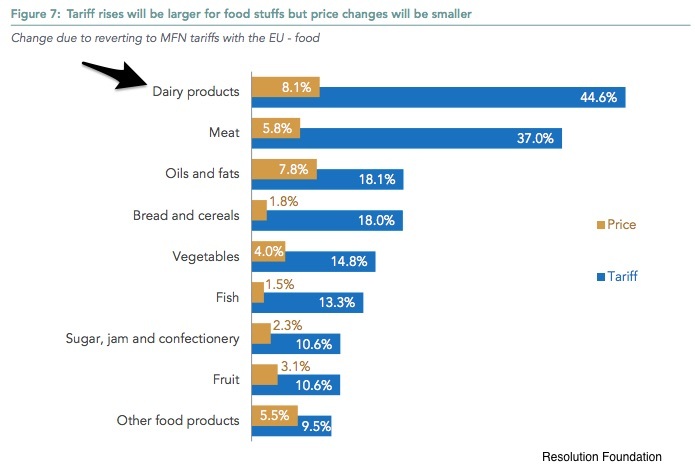 My sources and more: Thanks to marketplace.org for reminding me of the Brexit impact on cheese. Their story was the perfect complement to our econlife post last year. It also took me to Politico, here and here and to this excellent academic paper. Previous ArticleShould Norway Pull the (Electric Vehicle) Plug?